This week, The Comedy Wildlife Photography Awards announced its 2018 winners, and let’s not kid ourselves, there’s no higher award. 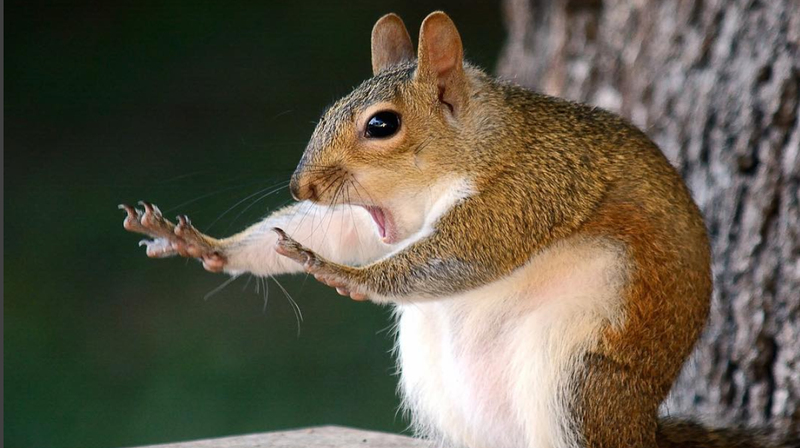 Congratulations to Mary McGowan, whose photograph of an emphatically gesturing squirrel titled “Caught in the Act” took home the top honor. But really there are no losers here. Except maybe the squirrel, who looks like he’s officially denying any wrongdoing but obviously lying. Happy Saturday! Hope you’re still relaxed and comfy in your Thanksgiving stretchy pants.